Jeremy Noble is a CPA Who Makes it Count for Nonprofits! 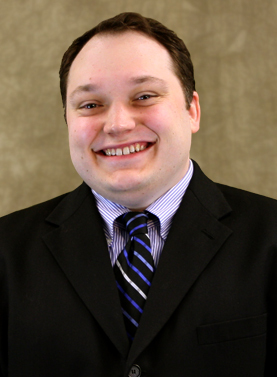 Jeremy Noble, CPA of Latham, NY is the 2013 recipient of the Michael H. Urbach, CPA Community Builders Award. The New York Council of Nonprofits, Inc. (NYCON) and the New York State Society of Certified Public Accountants (NYSSCPA) co-sponsor the tenth annual award. The award recognizes exemplary achievements of a certified public accountant who serves on the board(s) of directors of charitable organizations. Jeremy Noble, CPA of Latham, NY is the 2013 recipient of the Michael H. Urbach, CPA Community Builders Award. Mr. Noble joined Tully Rinckey PLLC as the Chief Financial Officer in 2007 and has since played a key role in managing the firm's growth by providing critical analysis for various opportunities, implementing efficiency and cost-savings strategies, strengthening internal controls, and managing and forecasting cash flow. In addition to his career, Mr. Noble extends his financial insight far beyond the walls of Tully Rinckey, as he strongly believes in community service. He is a member of the American Institute of Certified Public Accounts and the NYSSCPA. Mr. Noble previously served as the President of the Northeast Chapter of NYSSCPA and also held the positions of President-elect, Vice-President, Treasurer and Chair of the Young CPAs Committee. Attend the NYCON Annual Lunch or Place Your Message of Congratulations in our Annual Program Journal. Bob VanZetta, LCSW, Executive Director of Family & Child Service of Schenectady, said in endorsing Mr. Noble's nomination for this award that he "found Jeremy to be hardworking, thorough, conscientious, generous and supportive...and entirely engaged in the matters of the Agency." Of Mr. Noble's six (6) years of service on the Family & Child Service of Schenectady's Board of Directors, he aided in the organization's growth; reduced ballooning expenses; improved cash flow; and acted as Chairperson for a fundraising event. He also served as the Treasurer from 2006-2010 and President from 2010-2011. Mr. Noble's leadership, encouragement and knowledge are valued in the regional communities he helps. Some of the additional organizations that have had the pleasure of being one of the beneficiaries of Mr. Noble's volunteerism and leadership include acting as Treasurer of Not So Common Players, Inc; Treasurer of Schenectady County Society for the Prevention of Cruelty to Animals (SCPA); Captain of the SCPA's Humane Law Enforcement Division; and Treasurer of Early Care & Learning Council. Not So Common Players, Inc. remarked that Mr. Noble's leadership aided them in obtaining grants of at least $50,000 annually for productions, equipment and administrative expenses; as well as be the driving force to the formation of the entity and obtaining 501(c)(3) status. Mr. Noble has also volunteered on and off stage since 2002, performing in numerous productions, working backstage and set building. Doug Sauer, NYCON CEO stated "It's a pleasure and honor to award a CPA for the first time from Michael's home community - the Capital Region. It is also very encouraging and rewarding to recognize a young professional who has demonstrated through his actions, exemplary leadership and commitment." 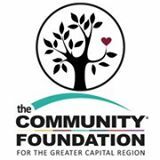 The Community Builders Award is named in honor of the late Michael H. Urbach, CPA, and former partner of Urbach, Kahn and Werlin, former NYS Commissioner of Tax and Finance and Chair of the State Employees Federated Appeal. He served on the boards and as an Officer on numerous New York State charities including NYCON, Equinox, Inc., Albany Jewish Community Center, Albany Boys and Girls Club, United Way of Northeastern NY and St. Peter's Hospital Associates, among many other organizations. The Luncheon will take place during Camp Finance, a two-day retreat aimed at boosting the financial expertise and accountability of nonprofits. To register for the luncheon onOctober 10th, contact Melissa Currado atmcurrado@nycon.org or call1.800.515.5012, ext. 100.